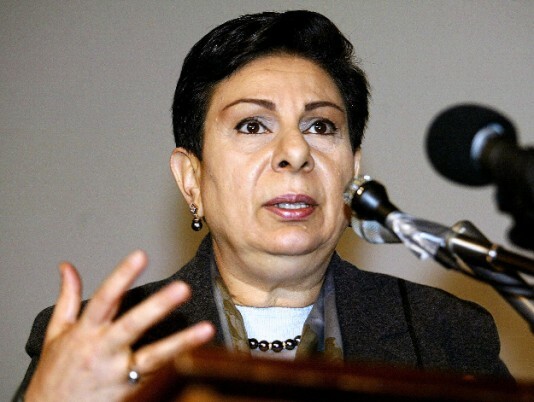 The Star’s fawning October 17 Op-Ed, “Hanan Ashrawi is a Palestinian peacemaker,” echoes numerous misleading and false claims by Ashrawi about Israel, with the potential of inciting misunderstanding and enmity toward the Jewish state. Melinda Henneberger, Star columnist and editorial board member, approvingly quotes Palestinian official Ashrawi, a notorious propagandist, who has espoused anti-Israel slanders on American television. Yet, in her Op-Ed, Henneberger quotes Ashrawi, for example, saying the Palestinian-Israel conflict “is not a religious conflict.” This claim, however, is contradicted by reality. 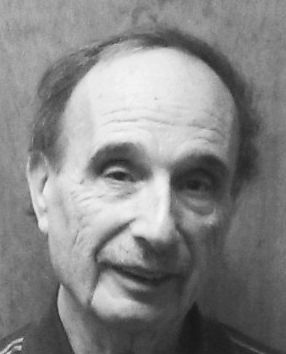 As John L. Esposito, professor of religion and international affairs at Georgetown University, widely recognized as an expert on Islam, has noted, Muslims believe that Islam supersedes Judaism and Christianity. Accordingly, Palestinian leadership, including the Palestinian Authority, has for many years repeatedly inflamed the religious passions of Palestinians and Muslims with claims that Jews threaten Islamic sites. For example, the Wall Street Journal noted on Oct. 18, 2015, “Mr. [Mahmoud] Abbas, the PA president, said the following on Palestinian television on Sept. 16: ‘We welcome every drop of blood spilled in Jerusalem. This is pure blood, clean blood, blood on its way to Allah. With the help of Allah, every martyr [murderer of Jews] will be in heaven, and every wounded will get his reward. '” This declaration was apparently triggered by a false rumor that Israeli officials planned to enter the Al-Aqsa Mosque located on Israel’s Temple Mount. Henneberger also claims, “it’s true that the dominant media and political and religious narrative in this country is overwhelmingly Israel’s view.” On the contrary, the Palestinian perspective is widely reported in both news and opinion pieces. The dominant (or mainstream) media’s widespread antipathy towards Israel has been documented. Examples are plentiful dealing with pillars of the news outlets such as Time magazine, New York Times and CNN. Likewise, Henneberger’s assertion concerning America’s religious establishment is also misleading. For example, the World Council of Churches, an umbrella organization of approximately 350 Protestant and Orthodox church organizations founded in 1948, the year of the re-establishment of Israel, has largely been hostile to the Jewish state for whatever reason (perhaps replacement theology). WCC membership includes numerous Protestant church organizations, including the Anglican (Episcopal) Communion, Lutheran, Methodist, Presbyterian and several united and independent churches. The United States, while historically criticizing the settlements (constituting less than six percent of the West Bank) as an obstacle to peace, has always refrained (with a single exception) from making a legal determination. This is for good reason. The international legal right of the Jewish people to reconstitute their own state in their ancestral homeland (including the West Bank referred to biblically and historically as “Judea and Samaria”) was recognized by the Allied Powers of World War I at the 1920 San Remo conference. And the Jewish presence in the territory was recognized as legitimate in the Mandate for Palestine adopted by the League of Nations in 1922, which provided for the establishment of a Jewish state in the Jewish people’s homeland. The one exception, occurring during the single-term Carter presidency, was a controversial one based on a possible misunderstanding. Note that during the period 1948-1967 when Jewish communities were absent from the West Bank, a state of hostilities existed against the Jewish state based on the desire to destroy Israel. So, the settlements issue as an obstacle to a peace agreement is a bogus one. The land is not “Palestinian.” It is disputed. Hence the need for Israeli-Palestinian negotiations. The Henneberger article, like the Ashrawi speech, misleads about the Palestinian-Israeli conflict, failing to deal with the conditions needed to improve the likelihood of peace between the sides.